I’ve been meaning to do this post for a while because I absolutely love a good cheese platter. Mum had a couple of old friends over tonight and so I decided it would be a great chance to share some tips that I think make the best platter. Everything needs to be balanced especially the tastes and textures. I always include one soft cheese, one hard cheese and some type of fruit,whether it be dried muscats, sliced pear or quince paste. This way you tick both of the boxes. Cheese platters are for special occasions and we don’t have them too often (well I don’t anyway) so quality is integral to creating a perfect one. Instead of buying cheese and crackers from supermarkets opt for delis and markets where the cheeses are crafted by individuals who you can learn about. The best cheese platters hero 2-3 cheeses. And one type of cracker or bread is best. This way everyone can focus their tastebuds on the one flavour. 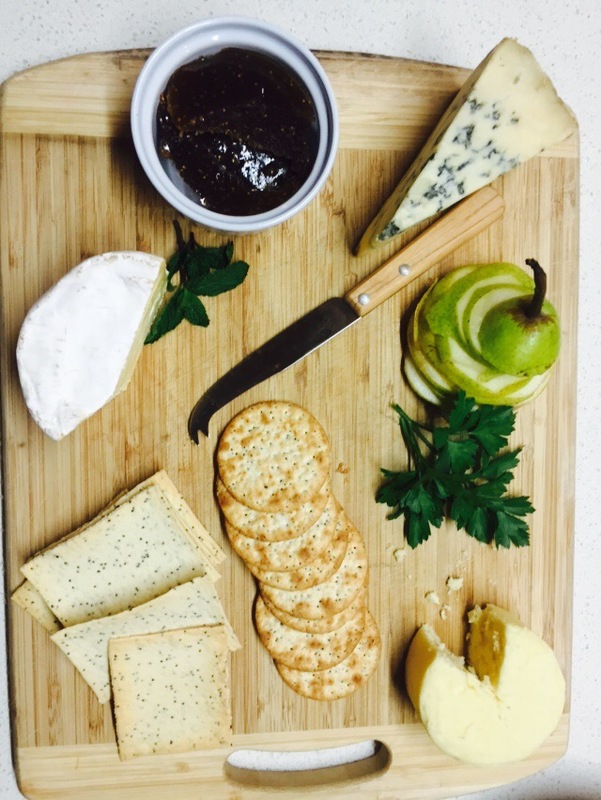 Cheese platter from tonight ~ organic double Brie, riverine buffalo milk blue cheese (from Stanthorpe), vintage cheddar, lavosh biscuits, sliced pear and fig paste.